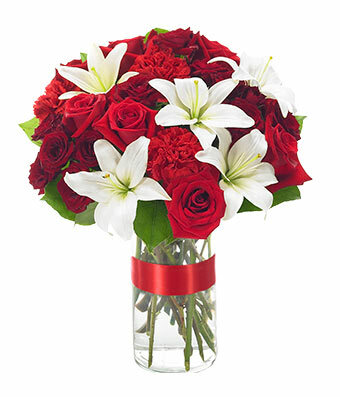 Red roses and white lilies make an elegant bouquet! Create a wonderful memory by sending a fresh floral bouquet in a cylinder vase. 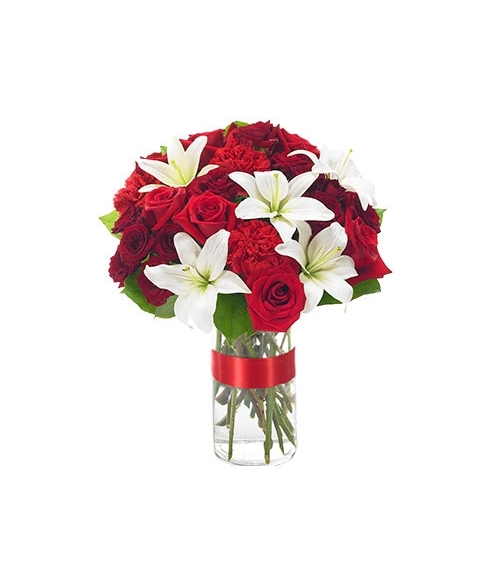 Florist arranged with red roses, red carnations and white lilies, paired with seasonal greens. The glass vase is wrapped in a red satin bow, to make it enchanting. Measures 15"H by 13"L.